Select Frame - on any product page - then Select The Image Icon of the type wallboard you want to create. 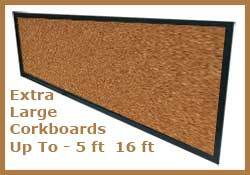 Since 2001 we have been building cork bulletin boards, notice boards, tack boards, memo boards, pin boards, wallboards and fabric wrapped cork bulletin boards to specific custom sizes. 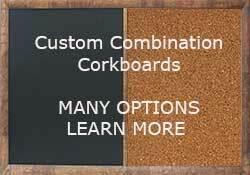 We use pure grain Natural Self-Healing cork in every wallboard. 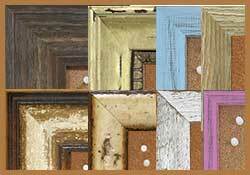 On Our Site Every Frame Is Shown As A Corkboard. 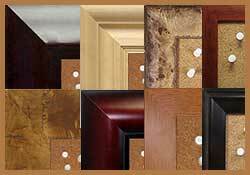 However each frame Can Make All 5 Types of Wallboards. Likewise choose the Chalk, Dry Erase, Combination or Fabric Wrapped image to make a different style with the very same frame on every product page. 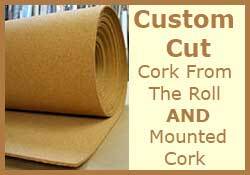 We use thick natural self healing cork - imported from Portugal on every cork board. 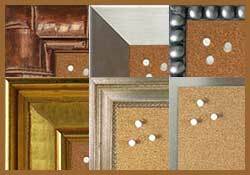 Shop Custom Cork Bulletin Boards By Size Of The Frame - Very Small And Very Large OK! 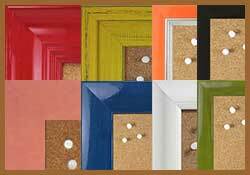 Select From Our Unfinished Cork Bulletin Board Frames. DIY: Do It Yourself Finishing To Exactly Match Your Decor. Then Select The Cork With Fabric Option. Contact Us To print your graphic file on natural self-healing cork - framed or unframed. 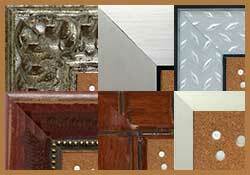 Contact Us To create a fabric wrapped french bulleting board with any frame. 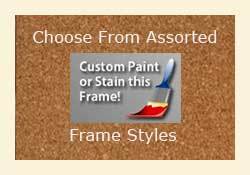 Contact Us To Create A Custom Header Cork Board With Your Text, Image or Logo. 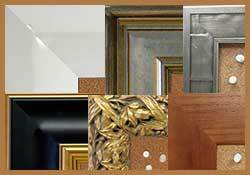 We offer hundreds of frames to make custom wallboards. Every frame on our site starting with the letters BB can make a cork board, chalkboard, white dry erase board, combination board or fabric wrapped bulletin board. 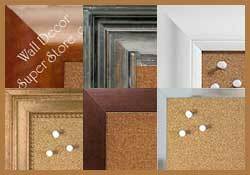 To Create A Custom Cork Bulletin Board - Find the style you like and click the small corkboard image on the product page. 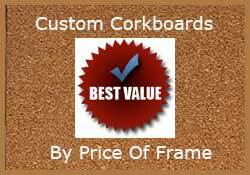 Enter the size of your Custom Corkboard in the calculator and proceed to the checkout page. 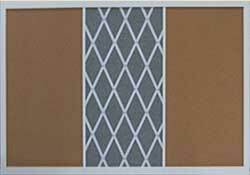 You may upgrade your Cork Board To A Fabric Wrapped Wallboard. 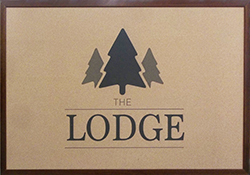 When Creating Your Custom Wallboards Almost Anything Is Possible. 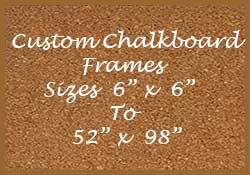 Every Wallboard Frame Style Can Be Fabricated As A Custom Chalkboard, Cork Board, Dry Erase Board or Combination Board.